To take first place in the compact-sport-utility segment, the competitors will have to beat Honda's new 2015 CR-V, which hasn't done anything except lead the sales charts for 10 years. This year, it's even better, with fresh styling, thoughtful features, enhanced ride and handling, class-leading safety, and a great value story. It's not by accident the CR-V is on top. My reliable, comfortable and easy navigation Honda crv. My problems before I bought my cry-v, I always forget my car keys., good thing I have a good husband that reminds me of not leaving keys at work. When he died, I have to correct my forgetfulness, I bought a new CR-V with a keyless entry. I love this car, it runs smoothly, it is good in gas and it has a lifetime warranty on it. I drove it to destination, Florida or anywhere when I am taking my cruise. It’s reliable, very comfortable and features are easy to follow. It has a camera on the passengers side and back-up camera. It has a navigation system too, you just need a little chord to use it though. Lol, I thought I solved my forgetfulness on keys, but unfortunately, I always forget to shut down the car. For all buyers, Honda CR-V are very good in gas, I save a lot of money on this one. I bought this brand new in 2015 and continue to love my transportation. Very easy to maintain. Comfortable at any station of the year and for those with kids. The Honda CR-V is a very comfortable vehicle for someone with kids. It is versatile and a great drive. It is performance on the snow is outstanding as it does not give me any trouble driving from place to place when it is snowing really hard. Overall, it is a great vehicle for anyone at any station of the year. Since I have a child, my Honda CR-V has enough space to fit my baby’s car seat in the back. I have a toddler so he already requires enough space to stretch his legs and just play while we are on the road. On my trunk I can perfectly fit all of his toys and stroller. As far as winter conditions, my vehicle heat up by itself. I have the heat up seating feature. It is so convenient for cold conditions. Also, the 4WD is a must when the streets are covered in snow. And the best part about my vehicle, it is excellent on gas! 2015 Honda CR-V, best on the market. 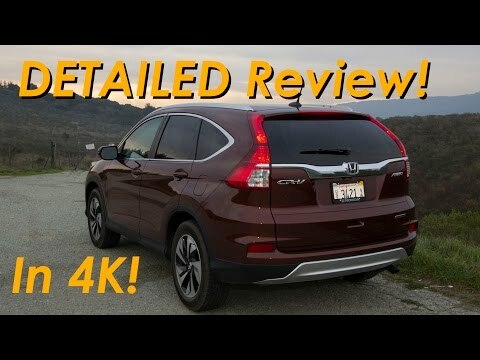 The 2015 Honda CR-V is a smooth ride with several nice features. There are two screens, one which keeps the time up while the second shows music/cameras. On this make there is a rearview camera and one on the right side mirror. There are some blind spots with this model but Honda took this into consideration with an extended left side mirror and camera on the right side mirror. Love having the back up camera, which has 3 different views. The steering wheel has controls for radio, Bluetooth and receiving calls. It is a comfortable ride and very roomy. The trunk area has a hard floor versus carpet and comes with a covering so you can hide what it in the back. The keyless entry and push start is also very nice. Needless to say, I love the 2015 Honda CR-V.
American Honda Motor Co. (Honda) is recalling certain model year 2014 Accord L4 vehicles manufactured July 29, 2014, to July 31, 2014, 2015 Accord L4 vehicles manufactured August 14, 2014, to January 30, 2015, and 2015 CR-V vehicles manufactured September 9, 2014, to February 6, 2015. The affected vehicles may have been assembled with improperly torqued connecting rod bolts, which can cause the engine to lose power or leak oil.